What Does The Best Bond Cleaning In Auchenflower Cover? Finding and selecting reliable house cleaning in Auchenflower is not easy. The most common questions we get asked by people like yourself have been collated below to assist you in making a smart decision. 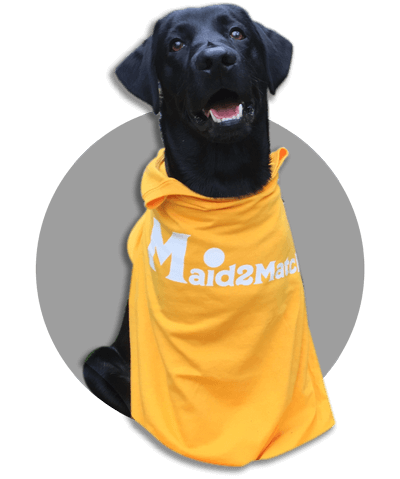 WHY ARE MAID2MATCH AUCHENFLOWER’S BEST AT VACATE CLEANING? The truth is great bond cleaners possess a different skill set than regular house cleaners and therefore requires specific experience, dedication, and a first-class cleaning checklist. At Maid2Match, we personally vet all our cleaners, after having them complete a three-part application form. We provide extensive support and have crafted the most effective bond cleaning checklist you’ll find. Our team is the go-to for bond back cleaning Brisbane. Situated 2.5 kilometres to the west of Brisbane CBD, Auchenflower sits cozily on the banks of Brisbane River. That’s great news for the tourists, as well as the inhabitants, considering there are plenty of wonderful picnic spots to enjoy if you want some peace and quiet. One of the most interesting things about Auchenflower is that its population is 50% male and 50% female. It also has some interesting sights, like the Raymont Lodge and the Moorlands. The beautiful Auchenflower boasts some elegant Queenslander houses, and its abrupt streets are as narrow as can be. Set on steep hills and filled with leafy trees, these streets host amazing restaurants and bars, as well as a delightful little croquet club. The Café Auchenflower is charmingly quaint, but you can also try the Deer Duck Bistro with its English manor-style rooms. And if you want to visit a unique villa, go to the Wesley Hospital grounds and take a look at the Moorlands house. Raymont Lodge is a heritage-listed mansion, with a wonderful Federation-style architecture and an interesting history, home to 120 students. The Moorlands impresses through its timber belvedere, as well as its elaborate architecture, which is why it’s part of the Queensland Heritage Register. Additionally, its bunya, Poinciana and jacaranda trees are also amazing.